Ac Milan extend their lead at the top over second place Juventus after the Rossoneri ease passed Lecce on Sunday with two goals from Antonio Nocerino and Zlatan Ibrahimovic, while their rival picked up another draw on the road. The results still puts those two teams ahead of the others especially after Lazio missed out on the chance to catch up with Juve after getting beaten by Bologna, leaving the third place spot under siege. 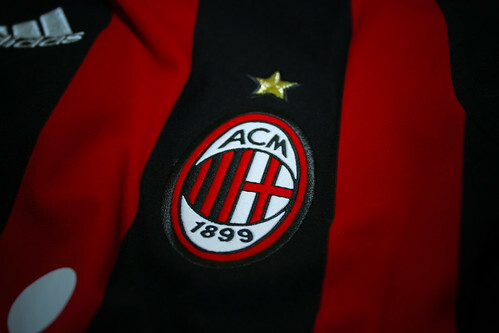 In a game which was also being staged to remember the late Moto GP racer, Marco Simoncelli, who was also a Milan fans, the Rossoneri started off in a excellent way as Nocerino grabbed a goal after only seven minutes. After wasting several goal scoring chances and getting off the boil for quite a while, the home team sealed their victory with a second goal scored by Ibrahimovic midway in the second half. Juventus are forced to call for media silence after another disappointing result against Genoa where they once again only managed to get a point, despite still surprisingly preserving their unbeaten record in the league. There were some controversies once again for both teams although the Turin giant seemingly believing that they were the victim, something that should be proved more on the pitch instead of with unnecessary of the field reactions. With Milan having a four point lead against second place Juventus, there’s actually a chance for Lazio to chase for the runner up position but they failed to catch up after running into an in form Bologna, who beat Edy Reja’s team 3-1. Goals from Portanova, Diamanti and Rene Khrin were simply more than enough to silence the Olympico crowd, who witnessed their team loosing their heads with two players getting sent off. Luckily for Lazio their defeat didn’t cost them the current third place position as just yet since their closest rival, Udinese also failed to pick up all three points after falling out against Novara. Jeda’s header in the 16th minute was enough to halt Francesco Guidolin side’s progress in the top table, forcing the Friulani players to content with another fourth place spot for at least another week. This weekend also marked a pretty important result for Inter Milan, who finally get themselves back on winning ways after beating Chievo 2-0 in a match staged on Friday as a preparation for their Champions League tie. Serie A looking really tight entering its final stage but the defending champion, Ac Milan, are looking to sprint ahead of their competitors especially if Juventus and also Lazio cant get their grip for the remaining fixtures.